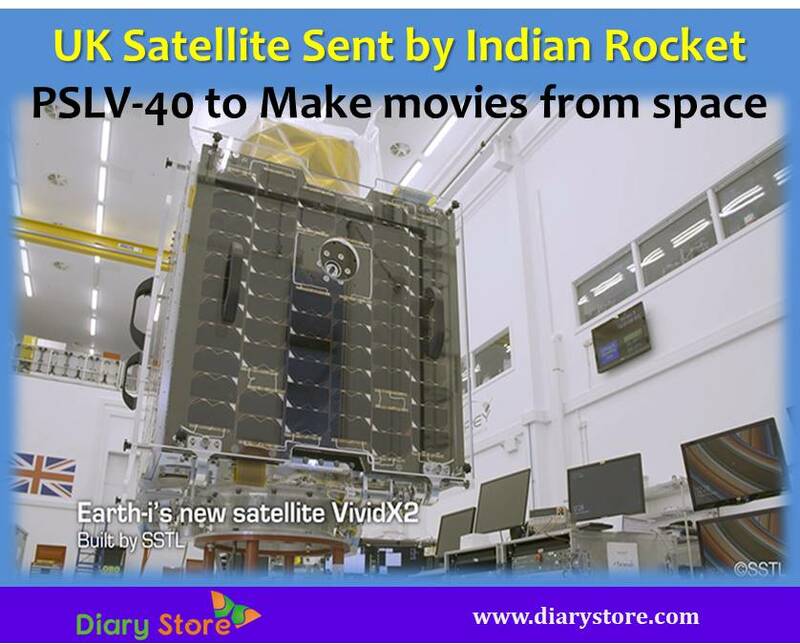 The British satellite CBNT-2, also known as Carbonate-2, was among the 31 satellites launched simultaneously by the Indian rocket PSLV-40 from SHAR centre, India. It was one of the co-passenger satellites along with the main Indian satellite Cartosat-2, to encircle the earth at an altitude of 505 kms in a sun synchronous orbit. 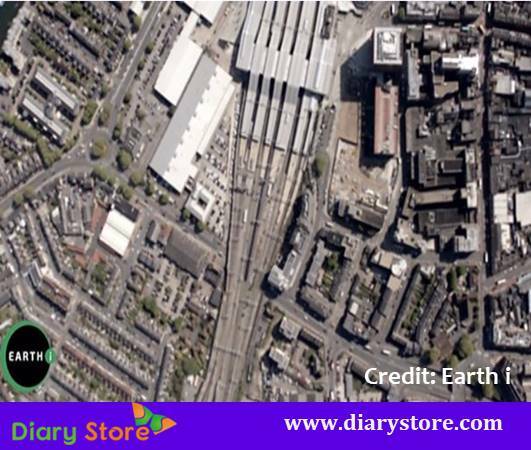 The UK satellite Carbonate-2 was manufactured by the SSTL company in the town of Guildford, South England. The present operational activities of the satellite are being monitored by another British company Earth-i, also located in Guildford. The carbonate-2 is the pre-production model. After watching its satisfactory performance, the Earth-i is getting ready with a fresh batch of five similar, but more sophisticated satellites in the next mission tentatively scheduled during 2019. The upcoming constellation of satellites, referred to by the Earth-i as VIVID-X2 will be the first of its kind high definition full coloured videos from space. The cameras of the satellite are capable of generating 50 frames per second enabling high effective resolution reaching 65 to 70 cms which is sharp enough to watch the moving objects like cars and ships which would help to monitor traffic flow at cities and harbours. The images can be assembled to prepare three dimensional models with distinct surface elevation which will help in rescuing operations in the events of natural calamities like earthquakes, floods etc. The future plans include sending three batches each consisting of quintet (a set of five satellites) every year. With a total of fifteen satellites circling the earth, it is possible for Earth-i to scan a specific location three times in a day in the absence of clouds. Among the 31satellites launched by PSLV C40, there was a payload of Canada by name Telesat Phase-1 Leo which was also manufactured by SSTL Co., England. This Canadian satellite too is a prototype which on its successful performance will welcome 100 more satellites from Canada in the offing, for delivering broadband services across the earth. The most common feature of all the forthcoming satellites to be launched of different nations is utilization of cheap electronics normally found in consumer goods which are not manufactured for the specific purpose of space endeavours but already available in the existing inventory stock meant for public usage. The usage of such off-the-shelf spare parts would work out much cheaper, compared to special manufacture of the items for space missions exclusively. Dr Graham Turnock, Chief Executive of the UK Space Agency, said: “Today’s launch is a significant moment for the UK and global space industries with Earth-i’s progress being tracked across the world. Earth-i is an exciting and innovative British company and is a fine example of our thriving space sector.